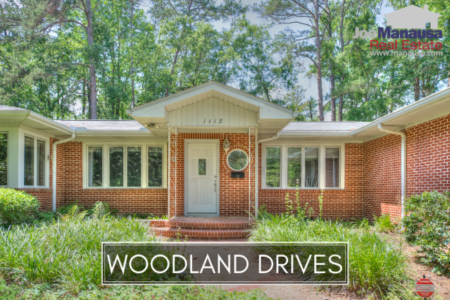 If you are looking for a downtown Tallahassee neighborhood, Woodland Drives should be on your shopping list. Loaded with charm and character, you'll find some of Tallahassee's oldest homes in this area. 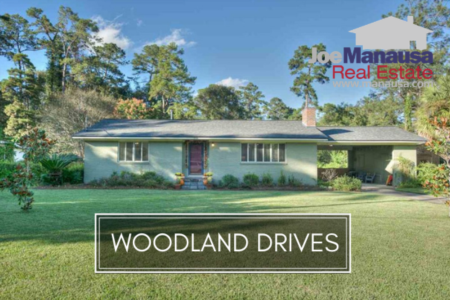 Most homes in Woodland Drives have very large yards, mature landscaping, and a great sense of privacy even though these homes are within walking distance of the Florida Capitol building (and downtown, shopping and night life too). Only two homes are on the market right now, and the demand for this neighborhood is high. For the past two years, properly marketed homes have sold very quickly. It is important to note that the narrative contained below is for sales through December for all previous years, but through the fourth week of March in 2017. The graphs and the closed sales table will be continuously updated into the future (meaning bookmark this page if you always want to know the current status of homes in the Woodland Drives). Average home prices fell in 2016 to $193,000. This has nothing to do with appreciation or depreciation, rather it's more a reflection of smaller homes selling. 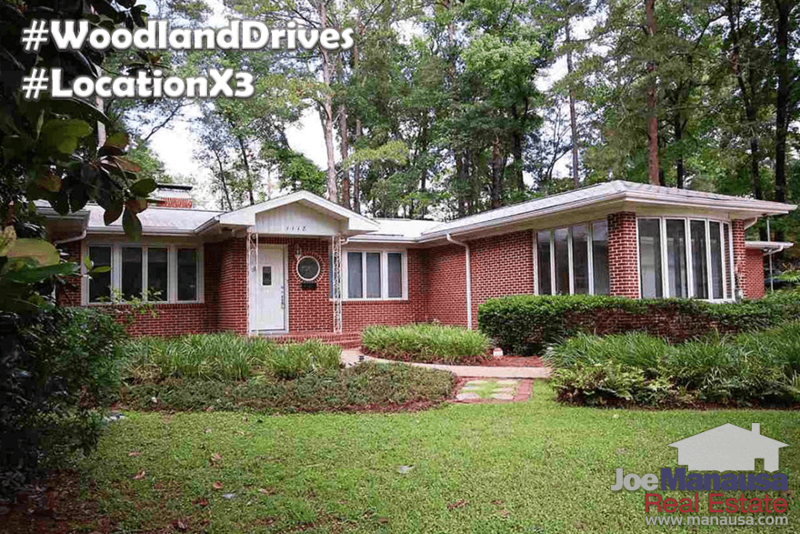 In 2016, there were 13 closed home sales in Woodland Drives, the fewest number of homes sold in a year since 2011. Why? Not enough homeowners wanted to move! It's a great neighborhood, so be ready to jump when a good value hits the market. Average home values in Woodland Drives remained at $109 per square foot in 2016, primarily due to a few remaining distressed home sales. This means that current values remain 20% below the market peak in 2007, so expect to see a healthy jump in values this year. Like every other area in Tallahassee, rising values will allow existing home owners to gain equity and be able to sell their homes. The shadow inventory still exists (sellers who want to sell but owe more than their home is worth) and each tick higher in home values opens up opportunity for existing owners. The average home size sold in Woodland Drives typically falls in a range of 1,600 to 2,200 square feet, and this year's home sales have fallen in the lower-middle of this range. The 13 sales in 2016 have averaged 1,784 square feet. I hope you enjoyed our March 2017 update on home sales in Woodland Drives, please feel free to drop me a note if you have questions not covered in this report.